As reported by Tass.com, at 12:05 on Apr. 26, 2017 a MiG-31 from Russia’s Eastern Military District crashed during a training flight near the Telemba proving ground, the Republic of Buryatia. 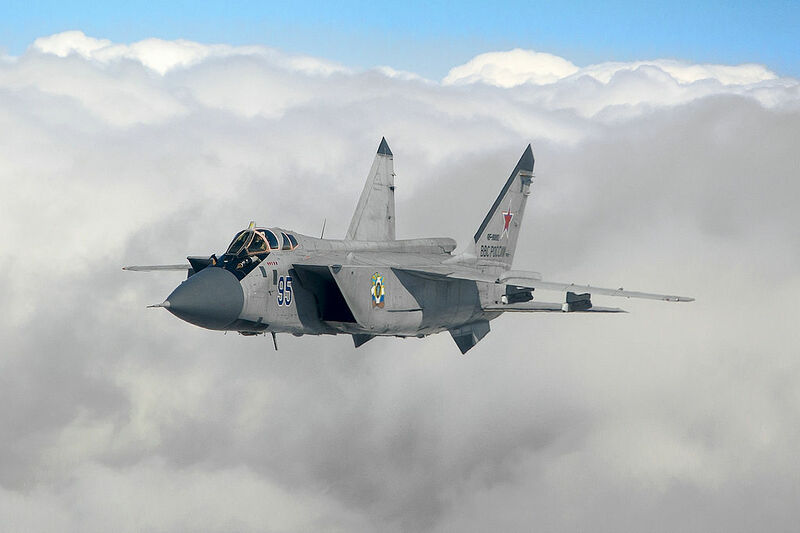 “A MiG-31 interceptor jet of the Eastern Military District crashed during a training flight near the Telemba proving ground, the Republic of Buryatia, at 12:05 Moscow time,” the Russian Defense Ministry said. Both crew members reportedly ejected safely and a search and rescue helicopter was dispatched to the site of the incident. “The plane crashed at a proving ground in an unpopulated area. Both pilots ejected themselves. They were promptly evacuated. Their life is not in danger,” the Russian Defense Ministry concluded. The MiG-31 (NATO reporting name: Foxhound) was developed during 1970s by the Mikoyan design bureau as supersonic interceptor aircraft and was aimed to replace the earlier MiG-25 “Foxbat.” In fact the MiG-31 is based on, and shares design elements with the MiG-25. The MiG-31 has the distinction of being one of the fastest combat jets in the world and continues to be operated by the Russian Air and Space Force (RuASF). The Russian Defence Ministry expects the MiG-31 to remain in service until at least 2030.